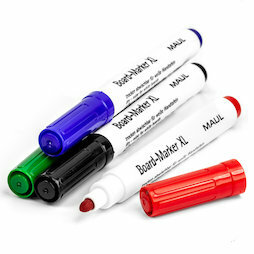 Whiteboard marker XL by MAUL in a set of 4. Each set contains the colours black, blue, red, and green. The markers can be used on whiteboards, glass, and other smooth and writeable surfaces.